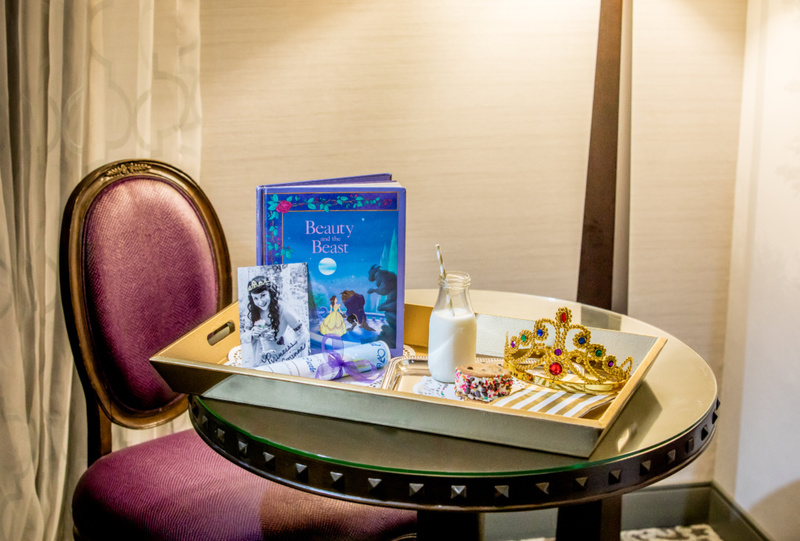 Visitors can reserve a royal audience with Princess Corinne for a bedtime story or breakfast wake-up call Fridays through Sundays. The princess and her royal page arrive with either a silver service of milk and a special sweet treat for bedtime, or orange or apple juice and treat for breakfast. The visit includes a story time, an autographed photo of the Princess, crowns for each child and a signed and dated Royal Certificate of Visit. This all-inclusive royal visit is $75 for 1 to 2 children and $10 per additional child. 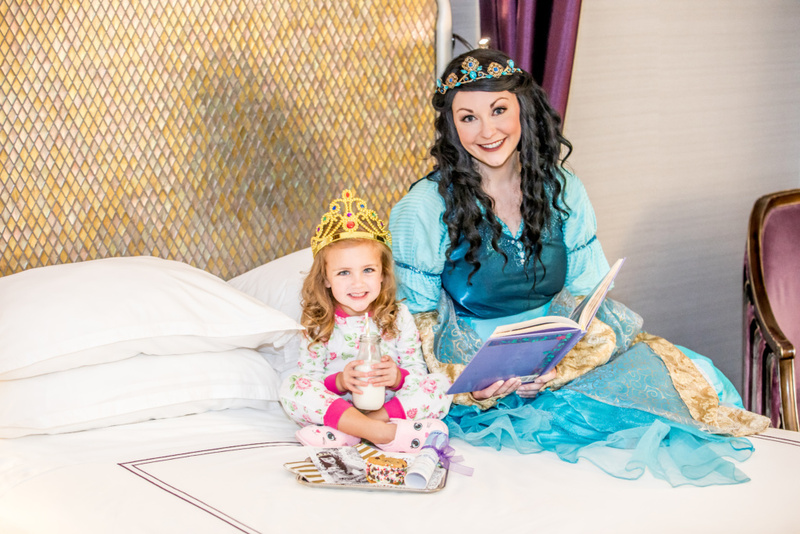 Royal princess bedtime visits can be reserved through the hotel sales department by calling (714) 234-2424. Here are some tips for meeting Disney® Princesses during your time in the parks. Download the Disneyland app or pick up a printed schedule at the gate for scheduled appearances for the day and keep a lookout because sometimes your first princess encounter is as you enter the park. The Royal Hall in Fantasy Faire is a must stop because where better to meet a princess than near a castle. Every day three princesses hold court here in their own special nooks. While Tinker Bell isn’t an actual princess, she is still a magical fairy and she can fly. Pixie Hollow near the Sleeping Beauty Castle is the place to meet Tink and all her fairy friends. The best rule is to keep looking because princesses can turn up all over the parks. They might be rushing to a ball or their next royal engagement or playing their part in one of the park’s amazing parades or shows. Here’s one last tip for a close-up encounter hang out after a show in the Royal Theatre in Disneyland. Sometimes the princesses greet guests after the performance.